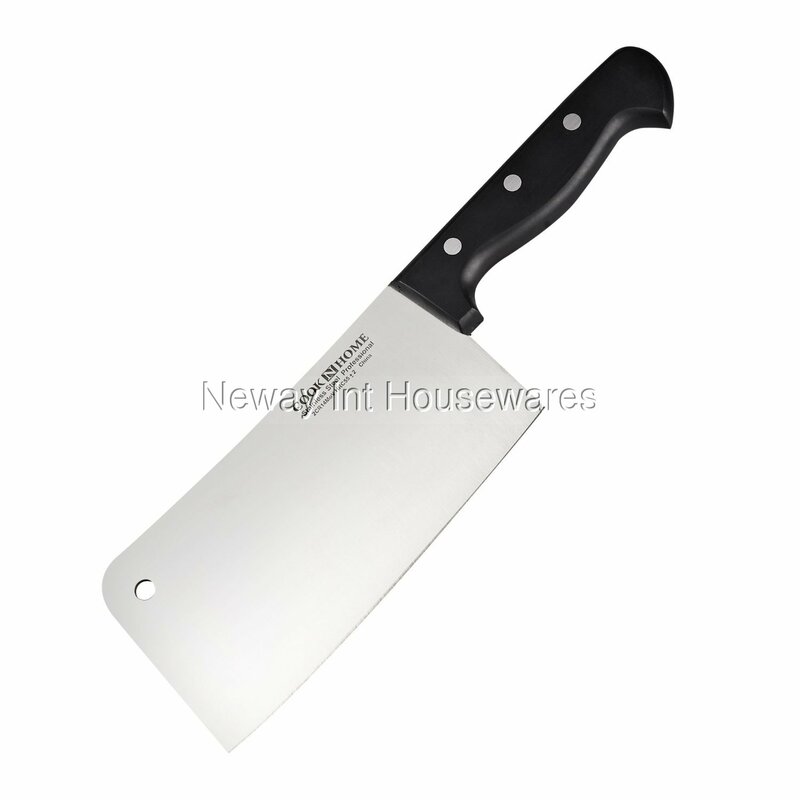 The Cook N Home 7-Inch Multi-Purpose Chef Knife Heavy Duty Chopper Cleaver, Stainless Steel is made of stainless steel with 3 mm thickness. Full tang design with a straight edge. 3 rivets on handle for durability. 12.5 in. overall length, 7 in. blade length. Not dishwasher safe. Hand wash and dry immediately.